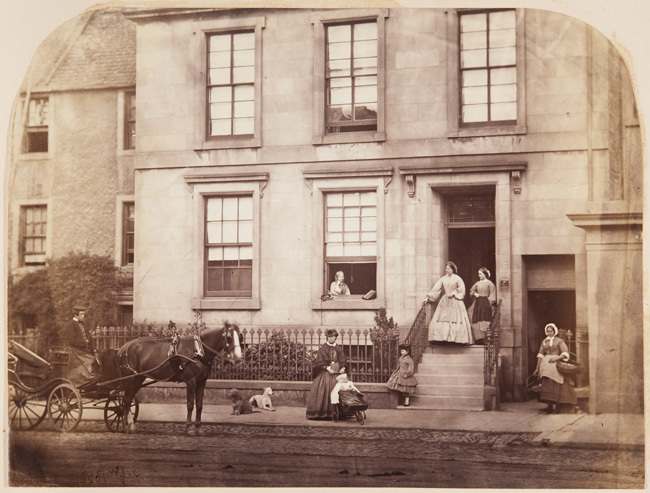 ALB-8-67 – Dr John Adamson’s home on South Street, St Andrews, 1862. By John Adamson. Courtesy of the University of St Andrews Library: ALB-8-67. The first annual St Andrews Photography Festival will celebrate old and new. From August 1st to September 11th 2016, this six-week-long festival will see events and exhibitions focus on the earliest days of photography in St Andrews as well as Scottish documentary photography over the last 175 years. The festival will put some of the photographic highlights of the University of St Andrews Library Special Collections on show as well as creating a showcase for contemporary Scottish photography. Up to 15 local businesses will be involved, including cafés and restaurants, hosting small-scale exhibitions. There will also be tours, seminars, workshops and talks including guest photographers as well as workshops to demonstrate a variety of photographic processes including calotype and collodion.